Are you finding many of your best prospects already working with competitors? When you pursue a new opportunity, is someone else capturing the prize? Maybe it’s time to re-evaluate your positioning. Your market position is the place you occupy in the mind of your prospective clients. It’s how they think of you as compared to your competitors. Adjectives like established or cutting-edge; high-quality or inexpensive; convenient or full-service are all relative terms. When applied to you and your business, they distinguish you from the competition. Your clients’ impression of how your business compares can determine whether they work with you or not. Try conducting some competitive research to find out what it is that clients like about the people you compete with. Are those qualities you can emulate? In what areas are clients not as satisfied? Could you offer more satisfaction there? Ask your current and former clients about their experience with the competition. They may be quite candid with you about what they liked and didn’t like, and give you some valuable insight into why they chose you. 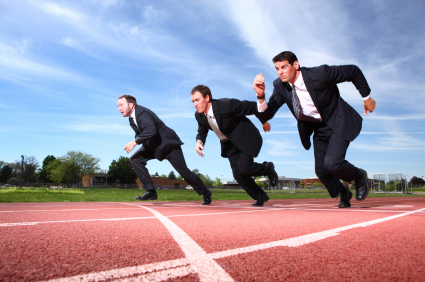 Check out how your competitors are positioning themselves by surfing the Net. Mission statements, lists of features and benefits, etc. will often be posted on their web sites. You can also have a friend request their literature, or hire a professional market researcher. Your research might uncover that your service isn’t packaged in a way that prospects want to buy it. Developing a better service package could make what you offer more attractive. A marketing consultant who has been charging by the project might find clients more receptive to a monthly retainer they can budget for. An interior designer encountering resistance to his hourly fee might instead raise his commission rate on furnishings, and no longer charge by the hour. Sometimes just naming your service package can make a difference. An image consultant might be much more successful selling the “One-Day Makeover” than asking clients to buy six hours of her time to revamp their whole look. When doing your market research, try asking your prospects how they prefer to buy services like yours, and tailor your offering to their preferences. You may make the discovery that you’ve chosen the wrong market — the perceived need for what you offer isn’t strong enough, they aren’t willing to pay what you need to charge, or the size of the market is too small. In this case, it’s time to position yourself for an entirely different market. A career counselor who can’t find enough individuals who will pay her fee can market herself to companies who need outplacement services. A software trainer who discovers that large companies prefer training firms that can serve them nationally might find a better market in midsize organizations. Keep asking the question, “Who is MOST LIKELY to hire me?” until you find the right fit. Do You Know Your Competitors?